Scotland’s coasts and seas are dramatic, varied and highly productive. Most of us live within only a few kilometres of the coast and wherever you are in Scotland, you are never more than 65 km from the sea. Scotland’s territorial seas (from the coast to 12 nautical miles) cover an area greater than the Scottish mainland and islands added together. Our inshore and offshore waters combined make up 13% of all European seas. The western and eastern coasts of the nation’s shoreline are extremely variable – the east is characterised by large Firth’s and the west is much more exposed and fragmented with rocky, sheltered inlets and sea lochs. Community populations vary too – the east coast is more developed and industrial, home to larger populations, while in the west human population is sparse and distributed around small and isolated coastal settlements with fewer urban centres. This structural diversity and contrast helps to create rich, biodiverse underwater habitats and communities. 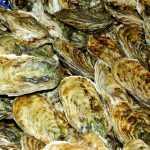 Why are Scottish Seas important? 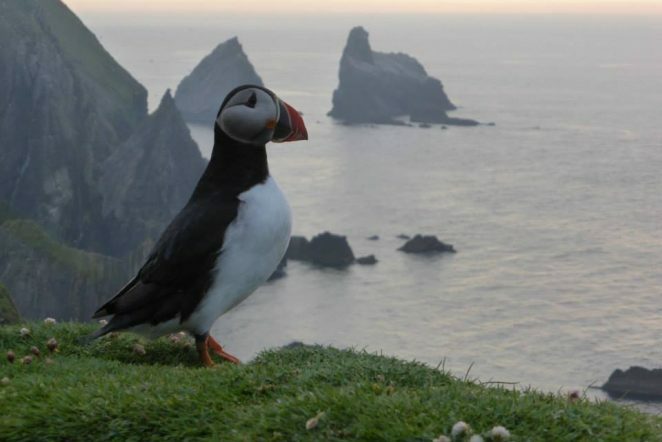 The seas around Scotland support rich and varied wildlife. The North Atlantic Drift brings warm water to the west coast and cold sub-arctic waters reach down to the Northern Isles drawing together northern and southern marine species. The range of exposures to currents and wave action and the varied geology make Scotland’s marine environment and coastal habitats among the most diverse in the world. Scotland’s seas are estimated to contain at least 8,000 different species. About 5 million seabirds come to breed in them every summer. 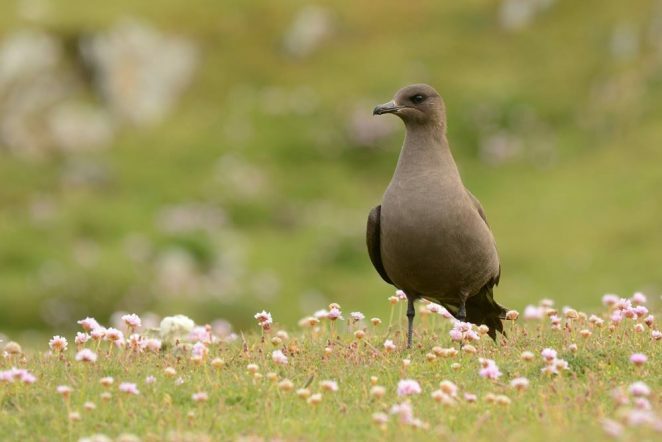 In particular, globally significant populations of many seabird species are found here, including 80% of the world’s population of Manx shearwaters and 60% of the great skuas. Two species of seal are found around the Scottish coast – the common seal and the grey seal – and twenty four species of whale and dolphin have been sighted off the West Coast. We also have spectacular visitors such as basking sharks and the charismatic ocean sunfish (Mola mola). The tidal streams that flow through the sounds and channels of Scotland’s complex coasts breathe life into the seabed, bringing food and oxygen to nourish abundant sealife. Cold water corals, worm reefs and flame shell beds make for beautiful and unusual dive sites. 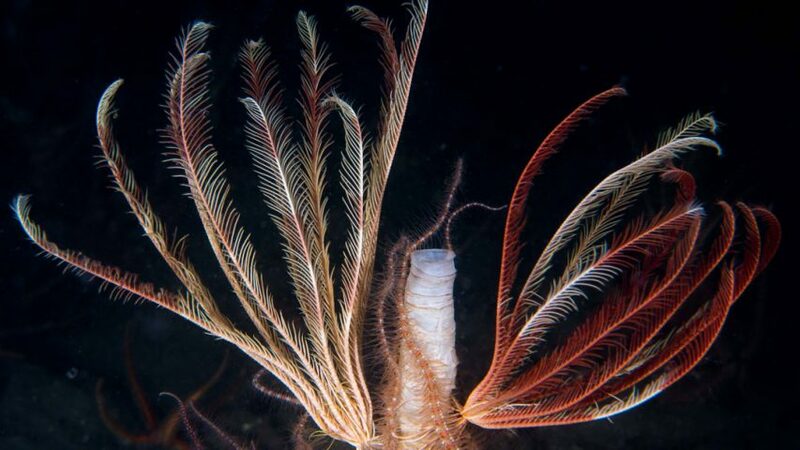 Deep soft mud supports some special marine species, including the valuable Norway lobster, the spectacular fireworks anemone, and forests of giant seapens, resembling long white feathers growing out of the mud. Extremely rare seabed species like Serpulid reefs exist in our sheltered sealochs (other than two lochs in Ireland, and a coastal lagoon in Italy, these exist nowhere else in the world). 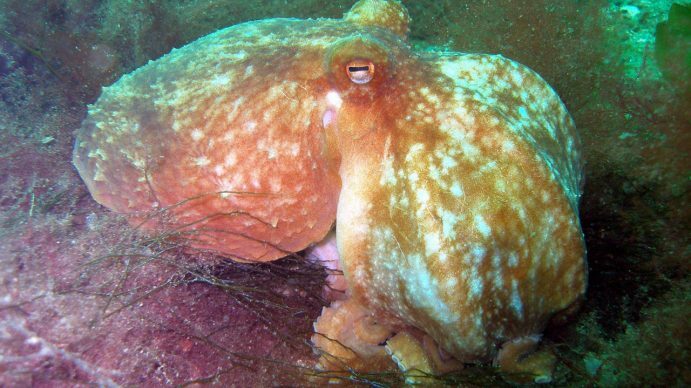 Any children or young people interested in Scotland’s underwater life will enjoy the following short film from Coastal Communities Network member Sea Change, Wester Ross. The Pink Seaweed tells the story of the Wester Ross Marine Protected Area and the gift of seaweed – with beautiful images of marine life, and traditional storytelling. The Pink seaweed from Sara Nason on Vimeo.